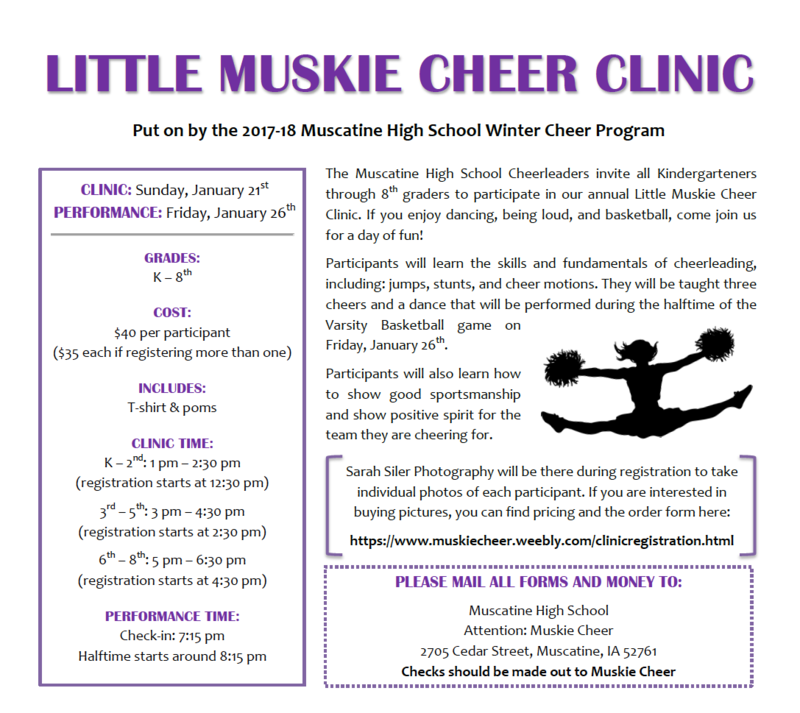 Mark your calendars for the MHS Cheer Program’s Annual Winter Little Muskie Cheer Clinic & Performance on Sunday, January 21st and Friday, January 26th. Sarah Siler will be there during registration to take individual photos. Pricing is attached. Registration sheets will be sent home with each child this week! Please email Coach Sink at muskiecheercoach@gmail.com with any questions or issues!